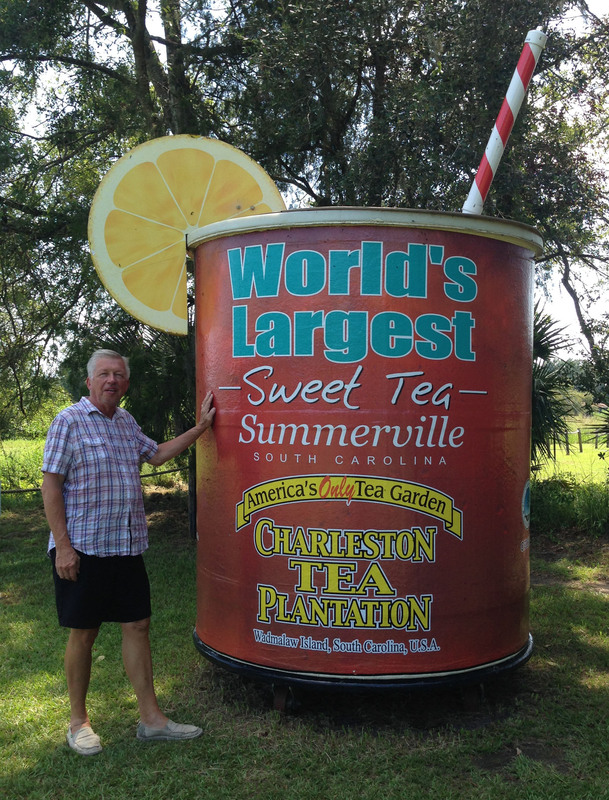 Sweet Tea at the Charleston Tea Plantation – The Home of My "Big Things"
While in Charleston we decided to make a trip to the Charleston Tea Plantation, a short trip away. The Plantation is the only tea plantation in the US. Quite an interesting visit to see how tea is harvested and dried. While there we found this Big Thing. Seems it was exhibited in Summerville before it was replaced with a larger version and found its way to the plantation.